Colombia 10 peso note, 10 Pesos Colombianos, Colombian banknotes, Billetes Colombianos, Colombian paper money, el papel moneda en Colombia, Colombian bank notes, Colombia banknotes, Colombia paper money, Colombia bank notes. 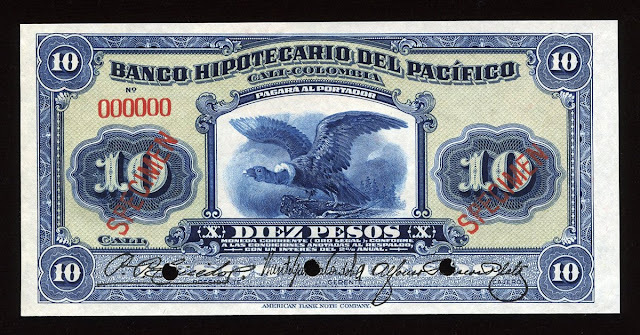 Investing money in collectable banknotes - best investment and safe investments. 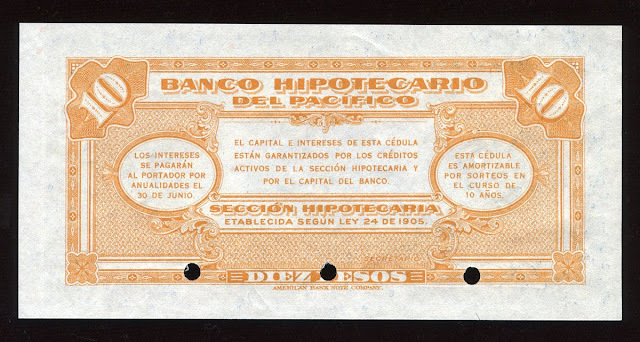 Reverse: Banco Hipotecario Del Pacifico. Printed by American Bank Note Company, New York.